Congratulations on reaching this far in the course. You have now learnt a powerful strategy for Sit and Go tournaments and also understand some more advanced SNG strategy topics. Don’t worry too much if you didn’t take everything in the advanced lessons, re-read it a few times and over time it will all start to make sense. Now the part of the course you have been waiting for, where you are going to actually put your new Sit and Go strategy into practice. In this lesson we are going to guide you through the stake levels in turning your starting bankroll of $50 into a massive bankroll of $1,000. The challenge is simple, following the guide below, you will deposit an initial $50 into your bankroll and then play through the challenge stages, moving up through the stake levels, all whilst maintaining bankroll management and practising the techniques we’ve showed you in this course. 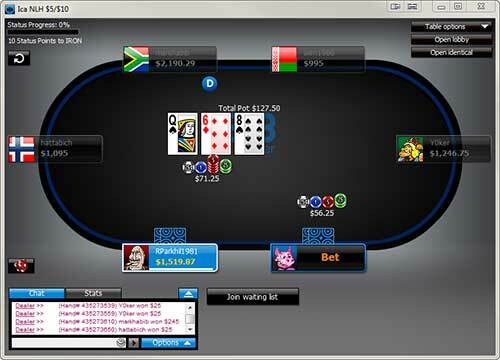 888 is our favourite online poker site for sit and go tournaments. They just seem so easy sometimes. At the low and mid stake levels the SNGs are packed full of bad players, we don’t know why, but it’s probably related to all the inexperienced players that come over from the popular 888 Casino. You also never have to wait for a SNG tournament at the low and mid stakes, with most tournaments filling up and starting within minutes of them appearing. 888 Poker is a major Gaming company which is a brand known around the world and listed on the London Stock Exchange. Its software is secure and your money and data is safe. There are always many thousands of players online so you will find plenty of action going on at the tables at all hours of the day. For more details read our full 888 Poker Review. 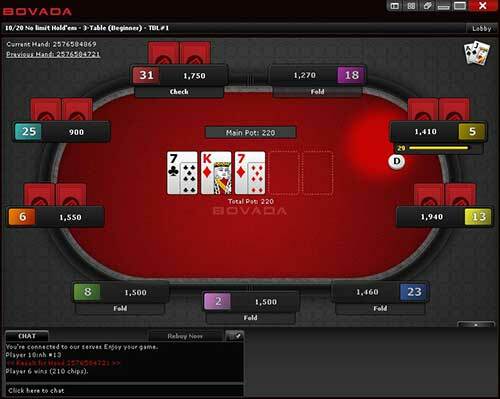 US players aren’t left out because Bovada is also great site for Sit and Go tournaments. Once again the games seem softer than other sites and it’s probably again due to the influx of inexperienced players coming from the Bodog / Bovada Online Casino. Bovada is the leading US facing poker room with the highest level of traffic and game availability and part of the Bodog Network. If you are a US based poker player then you should be playing at Bovada, an established and trusted room with a decent traffic flow, and great loose action at the low to mid stakes tables. For more details read our full Bovada Poker Review. If you do not already have an account there, then just click on the buttons above to download and sign up for a free player account. Once you have your new account setup then you can deposit your starting bankroll of $50 ready to get started with the $1,000 SNG bankroll challenge. First thing to recap on is the SNG bankroll management we talked about in the very first lesson of this course. During this challenge we will maintain a bankroll of approximately 20 buy ins, which if you remember from the lesson is a slightly higher risk bankroll strategy. The reason we have taken this approach is to allow you to play at higher stakes initially, keeping it interesting and make it more of a challenge for you. By the end of the challenge, and as the stakes increase, we will have migrated more towards 40-50 buy ins which is more like the long term bankroll strategy we encourage you to continue on with after the challenge. Maintaining a bankroll of 20 buy ins (or 5%) means that you are protected somewhat from going broke. You would have to not cash in 20 tournaments on the run to go broke. Of course you should never play with money you can’t afford to lose, and if your $50 means more to you and you want to be more conservative, then that is fine, just adjust the stakes and stages based on the bankroll management rules you learned in the first lesson. Bankroll management is very much a personal decision based on your personal circumstances, the ability to reload if you go bust and the amount of risk you are willing to take. Your target is to finish in the money 50% of the time (top 3 places). Of the 50% you finish in the money 20% will be first place, 20% second place and 10% third place. You will be playing on single full table (9 or 10 players) standard speed (blinds increase every 6 minutes) SNG tournaments. You will not move onto the next stage until you have reached the target bankroll for the current stage you are on. If your poker software has options to filter the lobby then do so now. There are lots of Sit and Go Tournaments that we are not interested in such as Turbos, 6-handed, Double or Nothing, Satellites etc. Make it nice and easy to find the SNGs you are looking for and save yourself stress later. Take the challenge at your own pace. It’s certainly possible to complete the challenge in less than a week, but not everyone will want to go at that pace. The first stage is really for you to practice the strategy and get used to it. It is playing on small stake sit and go tournaments. Your first target is to grow your bankroll by $50 to $100. If you hit your targets (outlined earlier) then this should only take you about 15 tournaments. 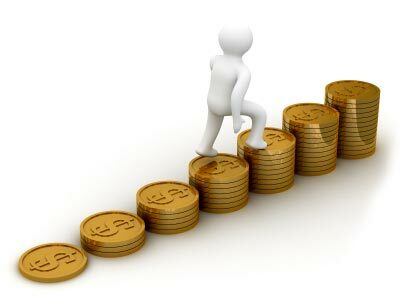 No more practising like in Stage 1 we are now focused on what we are here to do and the target for Stage 2 is to grow your bankroll by $100 to a total bankroll of $200. If you hit your targets then this will take 12 Tournaments. With stage 3 it starts to get really exciting as we are making a significant stake increase to the $8 levels. First prize on these tables is now $36 so your bankroll will start to grow allot quicker. The target for Stage 3 is to grow your bankroll by $170 to a total bankroll of $370 which should take you about 13 tournaments. Another big stake jump and another leap in your SNG career as we are now moving onto the $10 levels. First prize on these tables is now $45. The target for Stage 4 is to grow your bankroll by $210 to a total bankroll of $580 which will take you approximately 13 tournaments. You’ve reached the final stage of the challenge and you are within touching distance of having a $1,000 bankroll. Now we are making our final stake leap of the challenge up to the $20 level. The first prize on these tables is a whopping $90. The target for this Final Stage is to grow your bankroll by $420 to a complete your challenge and have a total bankroll of $1,000 which should take you about 13 tournaments.